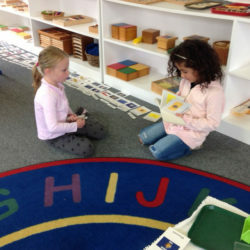 One basic idea of the Montessori philosophy is that carried, unseen with each child, is the person the child will become. To develop to the fullest physical, spiritual, and intellectual potential, the child must have freedom-achieved through order and self-discipline. To a child the world is full of sights and sounds which appear chaotic. From this chaos the child gradually creates order and learns to distinguish among the impressions which assail the senses, thus slowly gaining mastery of self and the environment. Dr. Maria Montessori created what she called the “the prepared environment.” Among its features is an ordered arrangement of sequential learning materials, designed to be developmentally appropriate and aesthetically appealing. Used in the noncompetitive Montessori classroom, the materials allow each child to develop at his/her own individual rate. “Never let the child risk failure until he has a reasonable chance of success,” said Dr. Montessori, understanding the need to acquire basic skills before participating in a competitive learning situation. The years between three and six are not only the prime time for laying an academic foundation, but most importantly the years when a child learns the ground rules of human behavior most easily. These are the years to help a child in preparing to take her/his place in society through the acquisition of good habits and manners. 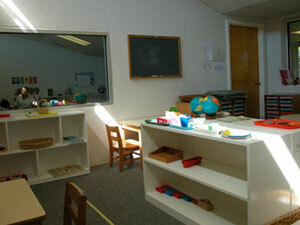 Dr. Montessori recognized that self-motivation is the only valid impulse to learning. Children move themselves toward learning. The teacher prepares the environment, offers activities, functions as a reference person and exemplar and observes the child constantly in order to help the process of “learning how to learn.” But it is the child who learns, motivates through the cork itself, to persist in a chosen task. The Montessori child is free to learn because of having slowly acquired an inner discipline from exposure to both physical and mental order. This is the core of the philosophy. Habits of concentration, perseverance and thoroughness established in the early years will produce a confident and competent learner in later years. Montessori introduces children to the joy of learning at an early age and provides a framework in which individual and social discipline go hand and hand. 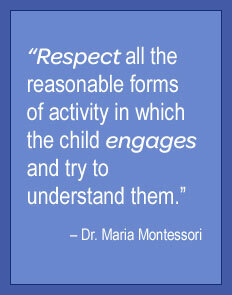 The AMERICAN MONTESSORI SOCIETY emphasizes the importance of Montessori insights at all ages – for children and adults. Although traditionally in the United States children begin Montessori at age three, the principles of self-motivated learning apply to all ages. 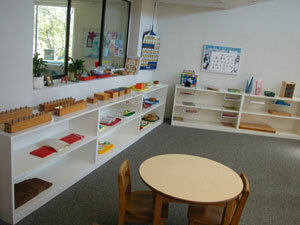 Montessori children are usually adaptable. They have learned to work independently and in groups. Since they’ve been encouraged to make decisions from an early age, these children are problem-solvers who can make appropriate choices and manage their time well. 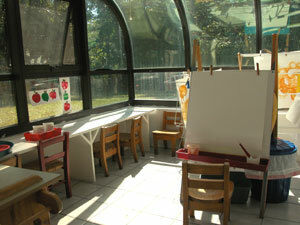 They have been encouraged to exchange ideas and discuss their work freely with others. Their good communication skills ease the way in new settings. Research has shown that the best predictor of future success is a positive sense of self-esteem. Montessori programs, based on self-directed, noncompetitive activities, help children develop strong self-images and the confidence to face challenges and change with optimism.